Deciding upon the appropriate remedy for defective works is an issue that frequently arises during construction disputes and is often hotly contested. 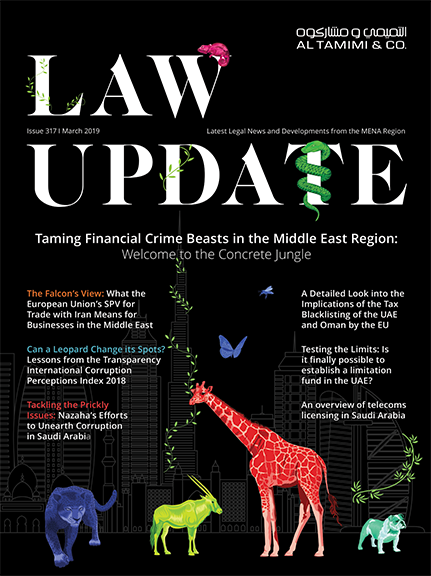 This note considers the position under UAE law and how a Court (or Arbitral Tribunal) might approach this issue where a contractor cannot (or will not) implement the option selected by the employer. ‘A’ enters into a contract with ‘B’ to build a swimming pool for his hotel. The design depth is three metres at the deep end. Upon completion it is discovered that the depth is 2.5 metres. A requires B to specifically perform the contract by rebuilding the pool to the agreed depth. B refuses on the basis that the pool complies with international safety codes for minimum water depths for head first diving, but is willing to pay an amount equivalent to the decrease in value of the pool, which is considerably less than the cost of rebuilding the pool. A sues B under the contract to recover the cost of rebuilding the swimming pool to the agreed depth. Under Articles 877 and 878 of Federal Law No.5 of 1987 (commonly referred to as the Civil Code), a contractor must complete its work in accordance with the conditions of the contract (including agreed specifications etc.). If works are defective or do not comply with contractual conditions, the employer may require the contract to be cancelled if it is impossible to correct the works. If it is possible to make good the work (as it would be in the above example) the employer may require the contractor to do so within a reasonable period, failing which application can be made to the Court (or Arbitral Tribunal) to either cancel the contract or engage a third party to complete the work at the cost of the first contractor. Article 274 of the Civil Code provides that if the contract is cancelled, the Court must ensure that the parties are restored to the position they were in had the contract been properly performed. Articles 386 and 389 of the Civil Code provide that the judge must assess compensation in an amount equivalent to the damage caused by the breach of contract. Under Article 390 of the Civil Code the Court may, upon application of either party, re-assess and adjust the pre-agreed amount of compensation so that it is equal to the actual loss suffered. reimbursement of the diminution in value of the swimming pool, i.e. loss in value of the property because it is less marketable due to the defective work. An English court generally considers reinstatement as the appropriate measure of compensation, since the employer is, as a general rule, entitled to have a building which conforms to the contract plans on the provisio that it is reasonable for the employer to insist upon reinstatement and making good the defective work is not unnecessary or extravagant. If an employer is insisting that a pool be opened up and made one inch deeper, it would in all probability be considered unnecessary. Under UAE law, a Court must decide whether to order specific performance or that the cost of engaging a third party to complete the work (i.e. remedial work) be paid by the contractor to the employer, or cancel the contract and order that the contractor pay compensation. It is a basic principle under Article 386 of the Civil Code that before assessing compensation the judge must be satisfied that specific performance is impossible. Under Article 885 of the Code the employer is only obliged to pay the countervalue of the thing contracted, i.e. the contractor cannot be unjustly enriched from his breach of contract, and therefore reimbursement of the difference in cost to the builder of the actual work done and the work specified is also one of the bases for assessing the sum of money to be awarded. Unlike the general position in England that the employer’s insistence on reinstatement must be reasonable, this is not an express requirement under the Code. However, Article 246 of the Code provides for a pervasive principle of fairness in all contractual dealings, and Article 389 provides for something akin to the duty to mitigate the loss, which together provides some protection to contractors. If the above example were decided in the UAE then a UAE Court would, provided it is satisfied that specific performance is impossible, choose between ordering that remedial costs or compensation be paid by B. Courts frequently appoint an expert to identify the options for remedying defective works, but it is rarer for Arbitral Tribunals to do so. If an expert is not appointed or the expert identifies more than one option, and the contractor can establish that reinstatement is unreasonable or extravagant, then a Court (or Arbitral Tribunal) could assess the sum of money to be awarded as compensation on the basis of reimbursing the employer the difference in cost of the actual work done and the work specified or payment of the loss in value of the property because the swimming pool is more shallow. If the loss in value exceeds the difference in building cost, then the former would be the more likely basis for assessing the sum to be awarded as compensation. Cases involving construction defects are extremely fact sensitive. However the above demonstrates that under UAE law there are a variety of potential remedies. Which is the most appropriate will depend on the particular contract, the records and evidence available, and how expensive it may be to remedy the defect.